With smart devices providing every­thing you need for music except speakers, why not just add speakers? Your smart device — phone, tablet — is very good at playing music. It streams, it can use an online music service to access all the world’s music. You can listen on head­phones, you could try to listen through the phone’s own tiny speaker/s. But of course the best way is to pair it with a wireless speaker. And of course millions of such wireless speakers have been sold. But they’re all so bloomin’ small. They can sound musical, and enjoyable, perhaps, but not big, not unrestrained, not real. That’s what’s hi-fi is for. So can you get a hi-fi wireless speaker? Of course you can. Dynaudio is several generations into its wireless- capable speakers, which have amplifiers inside them, so that these Dynaudio Xeo 20 speakers, for example, could be your sole piece of hi-fi, if you were happy simply to send all your music to them via Bluetooth from your phone. No other connections would be required — what neater solution could be possible? But they are not limited to such simplicity of operation. There are physical inputs also on the Xeo 20s, and further expansion possible via a wireless hub (see overleaf). Dynaudio’s Xeo 20s can even be grouped to transmit to additional speakers and audio systems in up to three zones around a home — so these speakers offer versatility and expandability, as well as simplicity. When installing the Xeo 20s we had thought, from memory, that they were slimmer than the company’s older Xeo 2 or Xeo 4 designs, but checking the dimensions we find they are in fact just a little wider, at 18cm across. However, being significantly higher (32cm) and deeper (26cm) the impression is of a relatively slimline design, though clearly they will now benefit from the allowance of far greater internal volume. They are also prettier, more curvily-edged and without the IR receiver that sat atop the Xeo 4. The metal speaker surrounds are now black rather than silver, so that visually they contrast with the luxurious white finish around the whole speaker (except the connections bay). We reckon there should be no complaints about leaving the grilles off these speakers, but grilles are supplied should you want them. 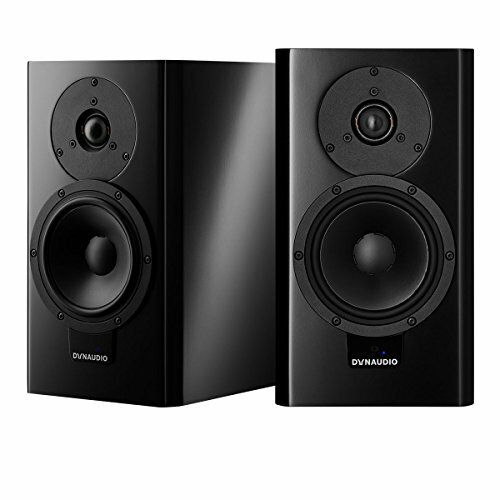 There’s also a black finish available, and Dynaudio has dedicated optional stands for Xeo 20s. The drivers are a 14cm Esotec MSP (magnesium silicate polymer) woofer and 28mm Esotec soft-dome tweeter, both using aluminium voice coils, and each powered by a separate 65W digital amplifier tuned for the specific driver to which it’s connected. 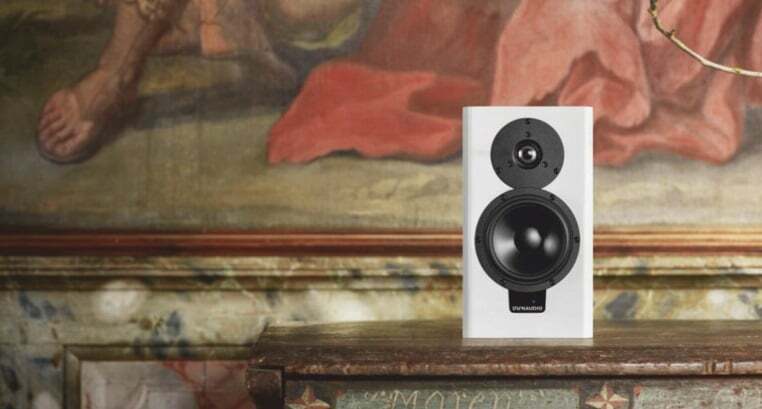 It is often complained that wireless speakers are not, in fact, wireless, since they have mains cables, and many (most) also have a connecting cable between the two speakers, since then only one speaker needs the wireless circuits inside. The Dynaudios have no link cable, instead generously doubling down on the wireless, so that while there is a Master and a Slave, the two do communicate wirelessly from Master to Slave, and so require no connecting cable between the two. This is obviously a boon for positioning, especially if your speakers are going to be further apart than the usual three metres of cable you’d get with those which require it. 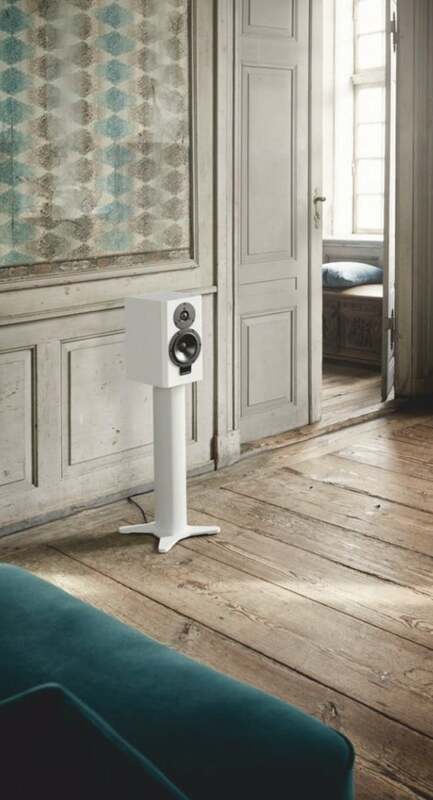 Dynaudio incurs not only cost in making both speakers wireless, but also complexity. The input signal, if analogue, must be digitised, converted into samples and thrown through the ether to be recomposed into a piece of music at the other end, much as a Star Trek transporter beam reconstitutes the atoms of Captain Kirk (though in physical terms he is a copy, the original killed each time he travels). Any slip of timing, any error of data during transmission, will begin to erode in particular the stereo capabilities of the speaker pair. But on the other hand you get the positive advantages inherent in the very concept of an active speaker, wireless or otherwise. The DAC conversion and amplification is done right there in the speaker, with very short signal paths — in a traditional system there would be non-identical amplifier channels and speaker cables that would be having other deleterious effects. Besides, many users are likely to find the digital inputs dominating their use of the Xeo speakers, whether the TV or an Apple TV or Chromecast plugged into the optical input, or Bluetooth beamed across from a connected smartphone or tablet. It makes plenty of sense to send these digital signals digitally across the ether to be received at the other end by an identical processor which can recheck and reclock before a final delivery, synchronised with its suitably delayed Master, to those short pathways to the amplifiers and drivers. In any case, the proof is in the pudding. There is no audible issue with the Xeos’ soundstaging, or much anything else in sonic terms. The worst we heard was an occasional little click from the left (slave) speaker, which we couldn’t identify definitively, but which had the traits of a data glitch such as a buffer under-run. A few times they’d start playing through only the master speaker, but a press of the volume on the remote would immediately bring the other speaker into life. We started with their optical input connected to a rather nice 65-inch Panasonic OLED TV, and loaded some music Blu-rays into a connected UHD player. The Beatles ‘Love’ mash of Tomorrow Nevers Knows with Within You Without You had its very trippy video (‘One+’ Blu-ray) supported by the Dynaudio’s fine rendering of the droney composite song. Another delight from that Blu-ray was Real Love, the Jeff Lynne-produced jangly guitars creating a lush halo around the rescued Lennon vocal which popped up for each insertion with its treatment clear, its muffled masked piano background clearly revealed in the Dynaudios’ three-dimensional detailing. From the TV connection we were able to realise their dynamic speed and potential when given a proper movie work-out, where their performance makes a mockery of soundbar-level presentation. Those who seek subwoofer-augmented depths and scale might want more, but those who find subwoofers intrusive will find dialogue clear and crisp, impacts able to slam, and music, of course, deftly interwoven. They’re a little thinner in tone when used casually quiet — the crossover between drivers is remarkably high at 4.7kHz and we found voices on TV/movie soundtracks to lose some intelligibility when played at lower levels. And sometimes we wanted finer volume incre­ments than those provided by the otherwise solid remote control. Three switches in the inset panel at the back of each speaker help make the Xeo speakers usefully versatile. First up is a switch which allows you to invoke a frequency response adjustment for different positioning, with a ‘neutral’ setting plus adjustments for wall-mounted Xeo 20s, or those stuck in a corner where their response might otherwise be overly reinforced. The third switch selects one of three zones — labelled Red, Green and Blue. For a simple stereo pair like these Xeo 20 speakers, you just set both to the same colour zone, choose your left and right, and get on with the music. But you could use these switches to create a larger system that plays music throughout a home. You could have three different Master speakers broadcasting to three zones of Slave speakers (unlimited speakers if using a Connect, see overleaf). And of course by flipping the Zone switches you could quickly reallocate speakers between zones, or have any Master speaker changed to address a different Zone. With this grander plan in mind, the idea of putting physical cables between speaker pairs seems not only very last century but unthinkably messy! The rule of thumb has long been ‘cable when you can, wireless when you can’t’ — the Dynaudio system is clearly one which has surpassed this rule of hi-fi. ▲ MORE SOURCES: add additional inputs using Dynaudio’s Connect hub, which can be situated remotely and streams to the Xeo 20s (and other Dynaudio speakers) at 24/96. Did the sound sink under the lesser quality connection of Bluetooth? Impressively, not much — a little less airiness and ambience to the acoustic around the backing singers on Lou Reed’s Walk On the Walk Side, a little less spread of the audience acoustic on Leonard Cohen’s ‘Live In London’, a little less rasp to his vocals. We wouldn’t make this our primary listening mode, and playing loud is less successful than via a direct (or, we’d guess, a high-res wireless) input, but it’s entirely enjoyable. We only briefly mentioned above the idea of expanding the input selection of the Xeo 20s — with so many other options we held back on this additional bonus to avoid confusion. But just as the Xeo outputs are extendable to coloured Zones, the inputs are expandable via a choice of two different wireless hubs, one called The Hub (which we gather is now end-of-line), the other the Dynaudio Connect (pictured below left). The Hub adds three digital inputs (optical, coaxial, USB), and two analogue (RCA pair and minijack). The Connect has even more, adding Wi-Fi, Bluetooth and 24/192 compatibility on the optical and coaxial digital audio inputs. 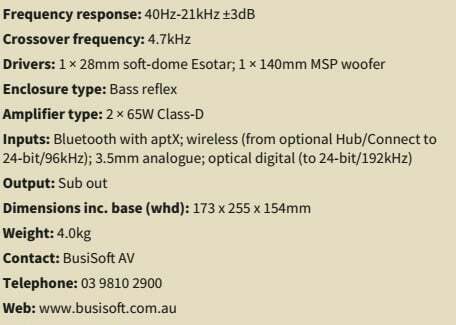 Your Xeo remote can select any of those inputs to be played wirelessly through the speakers (24/192 is dropped to 24/96 during this transmission). We didn’t have either unit for review with the Xeo 20s, but we’ve used them before and they work effectively once you get the hang of the zone settings. And there’s more in the way of extending the system as well. You can get a ‘Xeo Extender’ to extend the reception range, and there is a Xeo Link, which receives wireless signals from a Dynaudio Connect and has analogue and digital outputs which can plug into any system, active subwoofers, active speakers, etc., to bring them into your Xeo ecosystem.